How would you like to be accomodated ? - Sleep in a bed that feels like a cocoon and gives you energy for the new day. - Enjoy air as fresh as in the alps. - Take a shower with water so pure and energetic like a bath in a mountain lake. - Drink water how it should be : filtered several times, mineralised und energetic so your body cells can soak it perfectly. - Fill up your accumulators with the BodyEnergizer. - Cuddle in front of the fireplace and forget about the world outside. Book our Wellness Room and enjoy well being from the inside and outside. No feathers and carpets - no hassle. 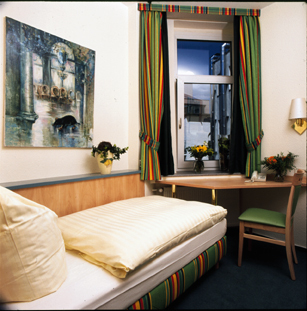 Enjoy our newly renovated anti-allergic rooms. 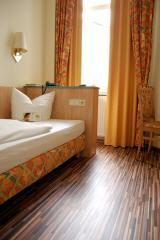 Get to know the rooms and the facilities of City Hotel Hannover.